Tufts acquired the School of the Museum of Fine Arts (SMFA) last June, and since then it has initiated a number of changes to how the school operates with an eye toward drawing it closer into the larger Tufts community, according to Dean of the SMFA Nancy Bauer. A Tufts-SMFA partnership has existed for more than 70 years, and both schools have offered a dual-degree program that allows students to pursue degrees in fine arts and arts and sciences at the same time. 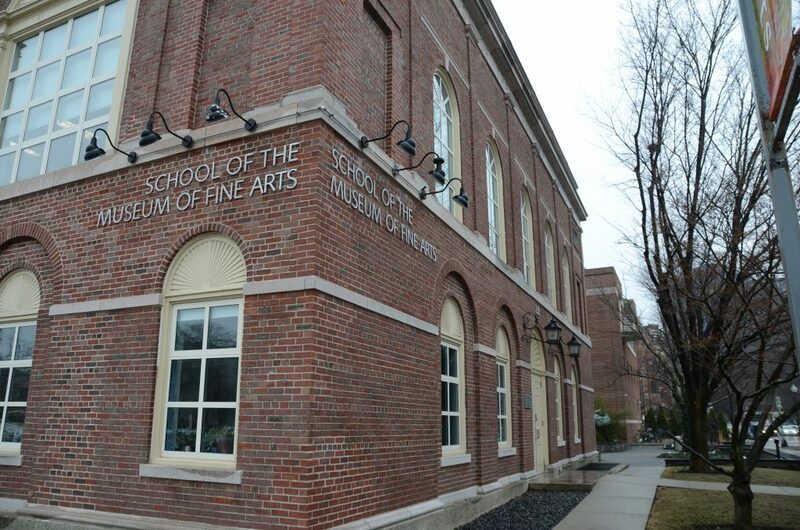 Tufts bought the SMFA after the Museum of Fine Arts decided to sell the school due to difficulties with enrollment, according to Dean of Arts and Sciences James Glaser. After the two schools’ admissions teams merged last summer, the four-person SMFA admissions team worked throughout the past year to familiarize themselves with Tufts’ processes. During that merger, the SMFA admissions team learned more about student life in the School of Arts and Sciences and the School of Engineering, Bauer said. Graduating fifth-year dual-degree student Conor Ward said some students are fearful that streamlining the two previously unique communities into one admissions process may impact, or even dissuade, potential applicants from applying to the SMFA. According to Bauer, new SMFA students will pay the same tuition and fees as undergraduates at Tufts. Previously, when the SMFA was independent, its tuition rate was somewhat lower, according to a March 29 Daily article. 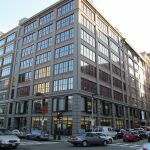 Nonetheless, SMFA students who enrolled before the acquisition will not see as large of a tuition hike, Bauer clarified, saying that Tufts “didn’t want to do a bait-and-switch on those students.” Returning Bachelor of Fine Arts (BFA) students will instead pay the SMFA’s tuition with a 3.6-percent increase. Some changes will also be made to the SMFA’s scholarship policies. The Daily reported in March that the SMFA was phasing out its merit scholarship programs, which previously were the bulk of the SMFA’s financial assistance, because Tufts does not award merit-based aid. Despite the apparent loss of scholarships, the integration of SMFA students into Tufts’ undergraduate student body will also mean they are brought into Tufts’ financial aid pool. Bauer indicated Tufts would meet all demonstrated need for SMFA students. 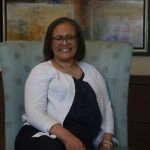 “If your financial situation changes while you’re here, your financial aid situation will change too so that no one will have to drop out of Tufts because of a change in their family’s financial situation,” she said. Ward expressed concerns with the rate hike, noting that a BFA may not have as much of a return as a Bachelor’s Degree from Tufts. “For a BFA to cost 60,000 — that’s a degree that can be difficult to market in a society that often views art as a hobby and not as an essential facet of the society itself,” Ward said. Moving students and staff between the two campuses has long been a challenge, even before the acquisition. Shuttle buses are not allowed to take Storrow Drive or Memorial Drive, the two main routes to the SMFA, Bauer said. This forces Tufts’ shuttle service to take alternate routes and adds as much as 20 minutes to the transit time, according to Ward. Bauer said that improving travel between the Hill and SMFA has been a central goal of the administration. She noted, however, that SMFA students have access to free Lyft rides within a 1.25-mile radius of the SMFA campus between 9 p.m. and 5 a.m.
“We did that so that people can get home or get at least to a T stop safely at night, and in a way, that’s extremely convenient,” she said. Bauer and Ward agreed that once the Green Line Extension (GLX) is completed, travel between the two campuses will be much easier. The GLX project will give students a one-seat ride between the Medford/Somerville campus and the SMFA’s Fenway campus. Additionally, renovations of the two main SMFA buildings occurred shortly after the school was acquired from the MFA, Bauer said. Changes also had to be made to update the SMFA’s dining services facilities, which she said had not been up to Boston Fire Department code regulations. Ward said that the earliest change he saw was to the SMFA’s atrium. Since the acquisition, Ward said that the SMFA appears to be getting new resources, including tools such as a new laser cutter recently purchased. But the SMFA facilities are still in need of repair, according to Damaris Swass, a rising senior at the SMFA. Tufts has tried to ease into its new role with the SMFA, and Bauer told the Daily she has sought to address various concerns and simplify processes so that faculty and students can get needed resources. 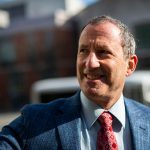 “As a dean I removed some of the rules and regulations governing what happens academically and also how the faculty were treated that I thought were keeping the school down,” Bauer said. Professor Ken Hruby, who teaches sculpture at the SMFA, told the Daily that he has seen a major shift in how the SMFA interacts with its educators under the new administration, particularly in their ready embrace of new ideas. Hruby said that he felt that under the MFA, the SMFA had been frugal to an extreme. There have been some issues in communication that have come with the acquisition, though, according to both Swass and Mabel Albert, a rising senior at the SMFA. 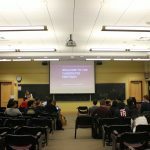 Swass described a situation in which she had to speak to multiple administrative offices to retrieve a tuition refund check, and Albert described a general shortfall in interdepartmental communication. Albert said she has not seen much of a change in how professors taught their classes. 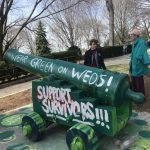 “If anything, professors are more strict about the two allotted absences now than they were before, which has been good for class participation,” she told the Daily in an electronic message. The acquisition has also renewed efforts to further strengthen the ties between both schools’ student bodies, Bauer said. “We’ve been trying to work on every front you can imagine to make sure that the SMFA students not only are full-fledged Tufts students, but that they have the same opportunities on both campuses that all students do,” she said. Bauer explained that Tufts has established a faculty ambassador program between the two schools to help inform SMFA students about the academic opportunities available to them on the Medford/Somerville campus. “Instead of the students kind of wandering back and forth, we’re trying to make sure that they have human beings they can talk to who will help them,” she said. Glaser said the two schools will be connecting and collaborating more as the relationship develops. Albert said there has been a stronger push to integrate SMFA students into the Tufts community. She added that there has been a shift in how the two student bodies interact as well. 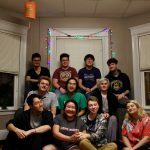 “We have seen the clubs on the SMFA campus have more students from the Medford campus participate and vice versa, which has been really exciting,” Albert said.